APMS Entrance Test 2019 /AP Model Schools Entrance Test 2019 Notification. 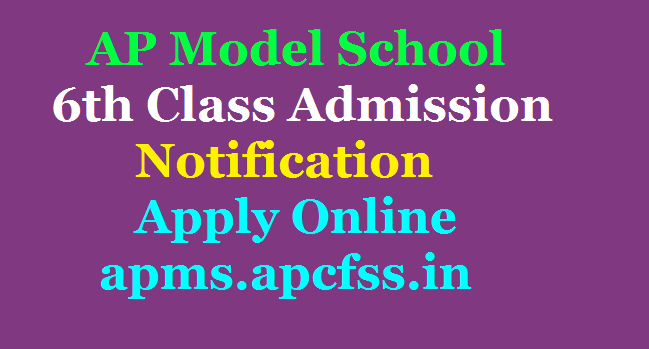 Andhra Pradesh Model Schools 6th Class Admission Entrance Exam Notification 2019 Released. Online Application to be submitted at APMS official website http://apms.cgg.gov.in/ . Detailed NotificationReleased. In that Notification dates to upload Application form for AP Model School 6th Entrance exam Examination Dates anouncement of merit List Display of Selection list and Certificate verification and Counselling details. 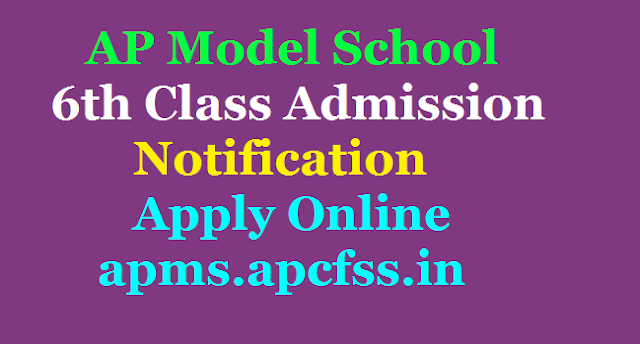 Download Hall Tickets Results of AP Model School VI Class Entrance Exam Notification 2019 Get Details here AP Model Schools entrance test 2019 for 6th class admissions 2018-2019. AP Model School Society Released Admission Notification 2019 to get Admission into VI Class through Entrance Exam. Aspirants have to upload Online Application Form to attend Entrance Test and to get selected. APMS Entrance Test 20198, AP Model School Admission Test 2018, AP Model Admissions through written test. APMS Entrance Test 2019, AP Model Schools Entrance Test 2019 Notification for 6th Class AP Model School Admissions.